We have 3 names - Coonawarra Bush Holiday Park, Coonawarra Cabins and Coonawarra Caravan Park. Google search any of them to easily find us! Travelling from Mount Gambier, the park is situated 18kms from Penola on your right (2kms down Comaum School Road). 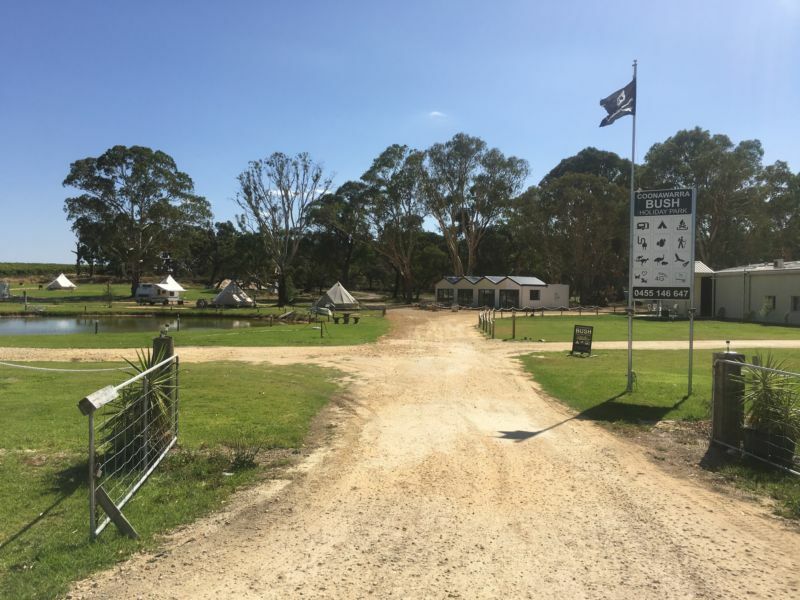 Coming from Naracoorte, the park is located on the next road on your left after Sydney/Edenhope Road, and then 2kms down Comaum School Road. 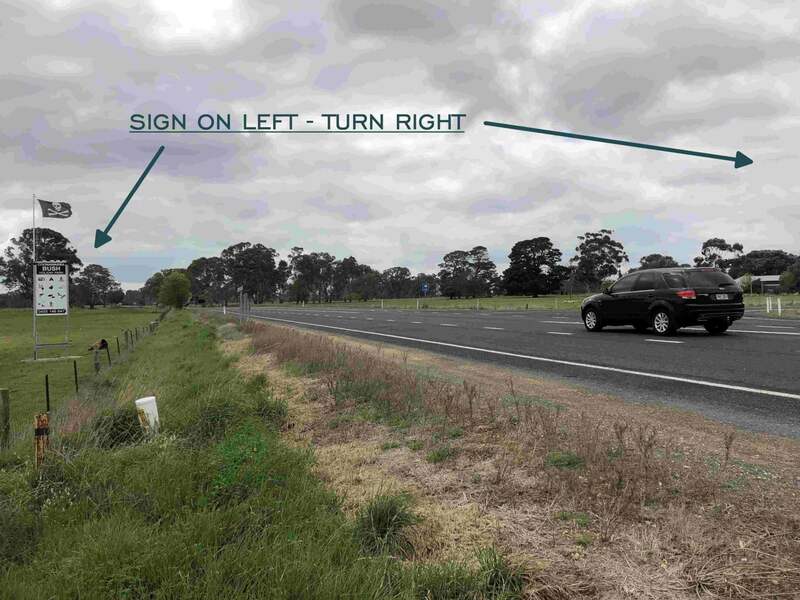 Coming from Penola, the sign is on the left and you turn right - look for the flag!